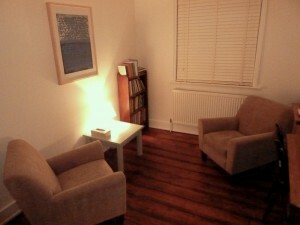 My therapy room at Ruskin Road offers a safe, comfortable, and confidential space in which to meet. It is up one flight of stairs. Unfortunately it does not have wheelchair access.